...and once again we’re ready to serve you the best of Czech athletics, spiced up by top class performers from around the world. 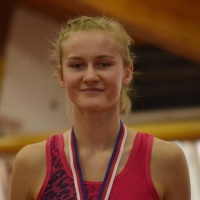 At the very end of January 2019 the town of Nehvizdy is set to witness the best Czech athletic youth, who are currently battling their way to the final. Just like at the meeting’s first edition, get ready to also support national contestants in a wheelchair race as well as Czech’s best senior athletes competing against the rest of the world. 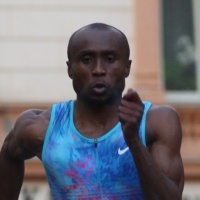 Look forward to last year’s audience favorite Ituah Enahoro in men’s long jump as well as some new faces in women’s competition, held simultaneously. 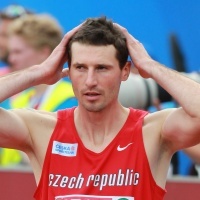 Thrilling contests are expected in both men’s and women‘s high jump, this time without the iconic Jaroslav Bába, who retired back in September. Ready to claim his spot among the best will be a strong field of jumpers from around the world. 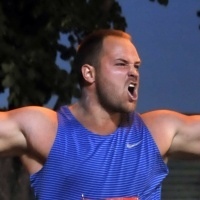 Heavy weights are also slowly lining up in men’s shot put with several names having thrown over the 20 metre barrier. Once again the meeting will be concluded with a live band performance. "It was the best indoor meeting I ever had. Also my first true international meeting. I will never forget that moment in the winter." "Although I wasn't eventually able to commpete, I really loved the effort the organizers put in the meeting in order to supply the best possible conditions for the athletes. Provided I stay injury free, I'll be glad to compete in Nehvizdy next year." "Having an athletics meeting so close to Prague seems like a great idea. If only I was younger so that I could compete as well. I wish the meeting all the best and I will enjoy it from the stands." "I am honored to welcome all of you in Nehvizdy. It is a dream come true." "I would like to wish the meeting many wonderful performances, many cheerful kids having a great time and a trouble-free organization. Personally I am thrilled to experience something new and I hope to see you in Nehvizdy cheering for our athletes."